The Carnivoire brunch at Angus is a rich, meat-packed brunch. 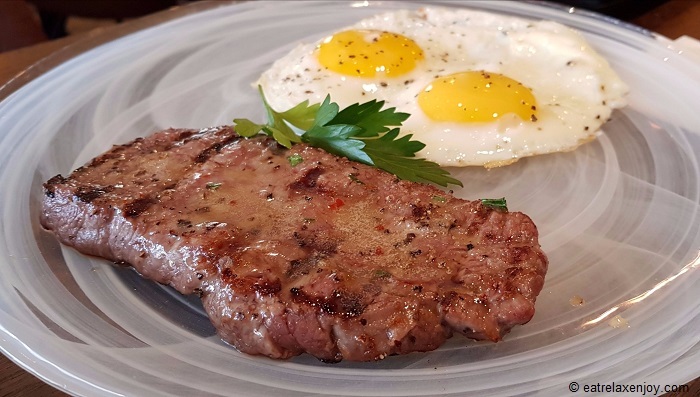 Forget about eggs and cheese, they serve here Steak & Eggs and a large variety of tapas, served each Friday between 11:00-14:00. If you think that breakfast or a brunch is always an egg, salads, or cheeses, there’s a new trend. 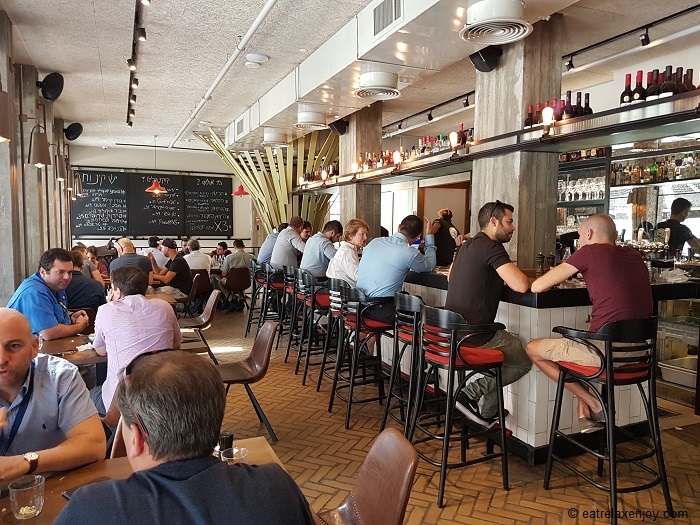 One of the new and different concepts in Tel Aviv breakfasts is breakfast, or brunch with meat. One of the restaurants leading this trend is Angus. 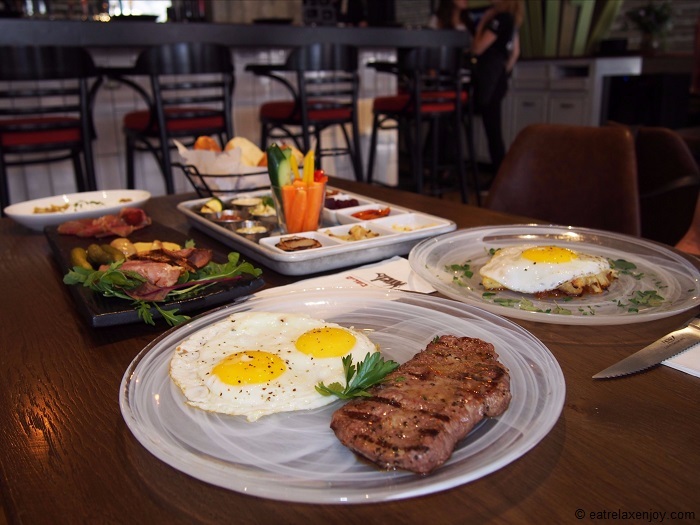 The new brunch, recently launched at Angus restaurant includes bread, dips and tapas, cold cuts, a main meat entrée, and drinks. The price per person is NIS109 and the drinks can be upgraded for a small fee. 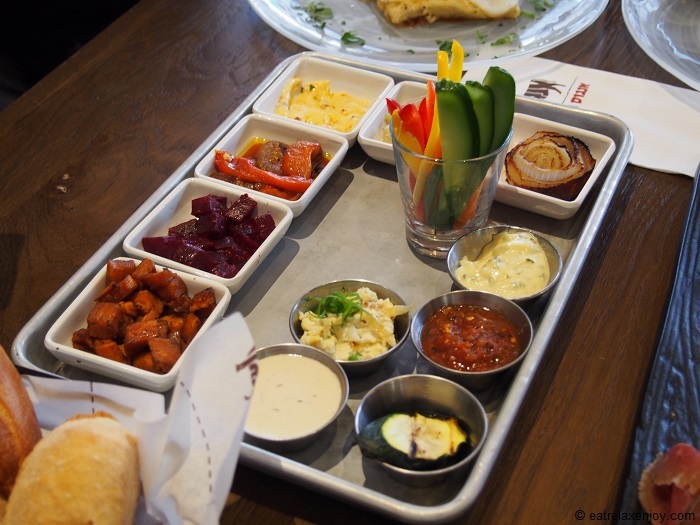 We got to Angus Tel Aviv to try the new brunch. 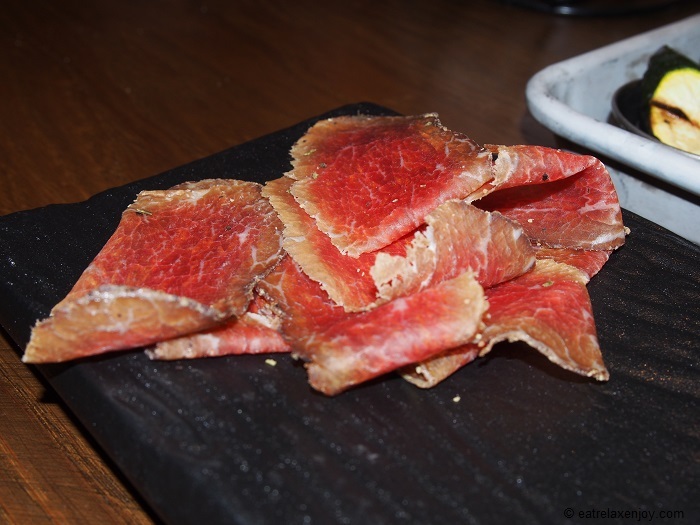 It is one of our favorites for a steaks and I was curious about the brunch. 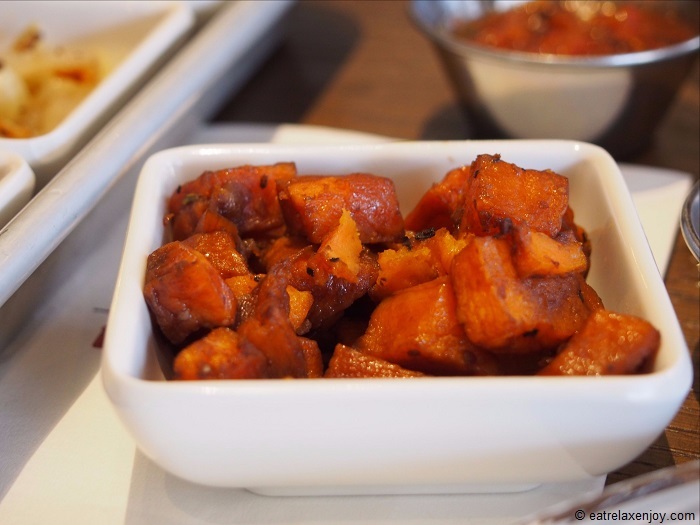 The meal started with tapas. We got a large tray full of small tapas, a plate of eggplant salad with Bulgarian cheese, a small tray of cold cuts and a basket with fresh buns. I’ll start with the tapas tray. 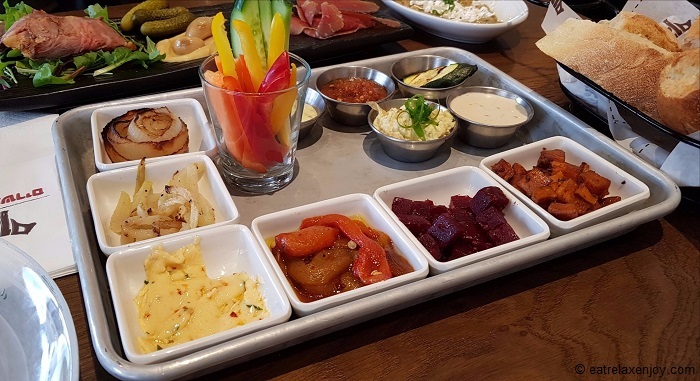 It is called here antipasti tray and contains around 13 different starters: grilled onion, fried kohlrabi, roasted peppers, beetroot salad, roasted sweet potato, roasted zucchini, three dips (seasoned aioli, divine seasoned butter, and salsa), Tahini, egg salad and vegetables. Each of these tapas was tasty! 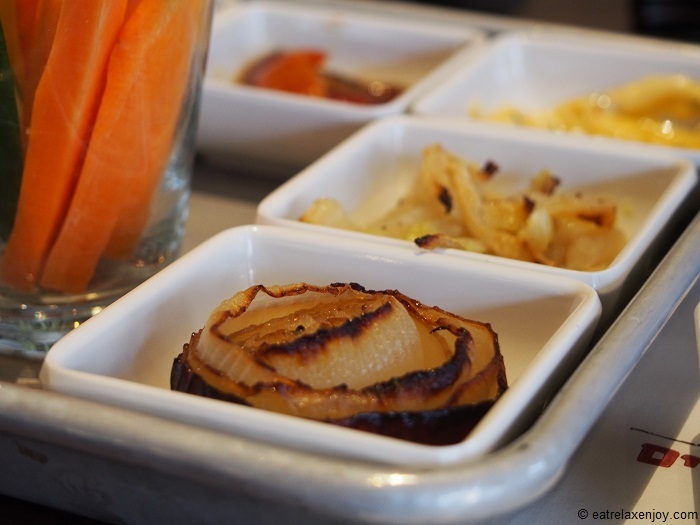 I was taken by the fried kohlrabi that was somewhat sweet. 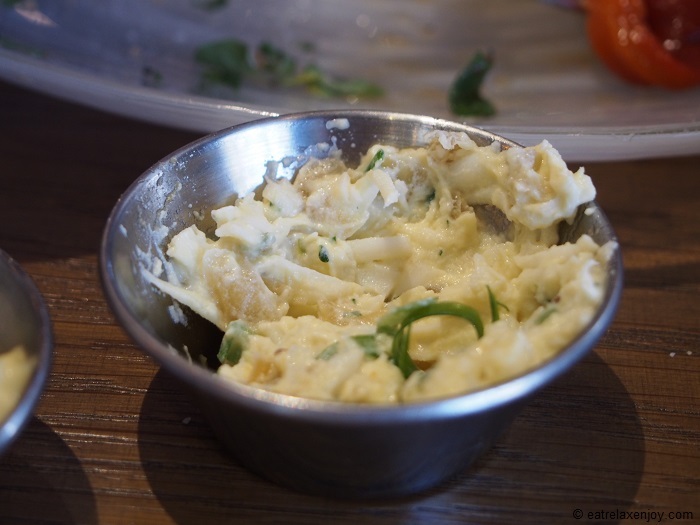 The egg salad was superb! Each bite was a pleasure. And if you are worried that this won’t be enough, there’s a free refill. 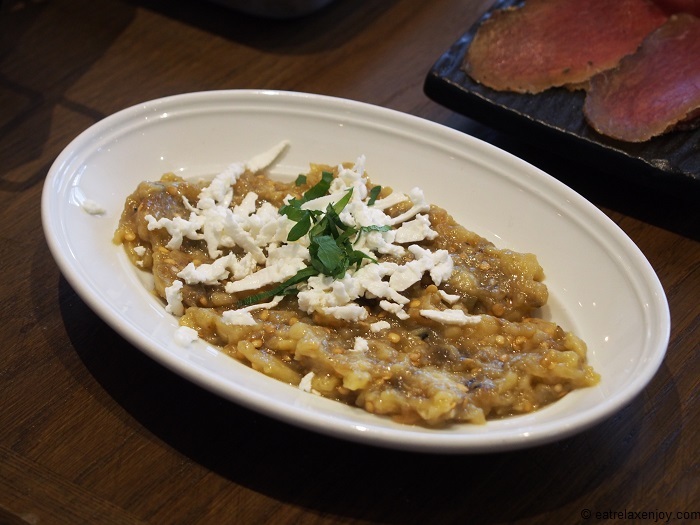 With the tapas came an excellent plate of eggplant salad – roasted, somewhat smoked. Very good! 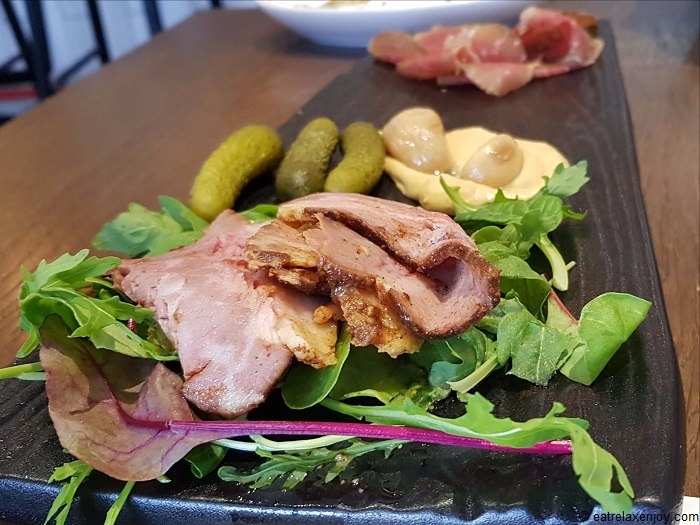 The jewel in the crown of the starters was the cold cuts – homemade roast beef and prosciutto and little pickles. This was so yummy! 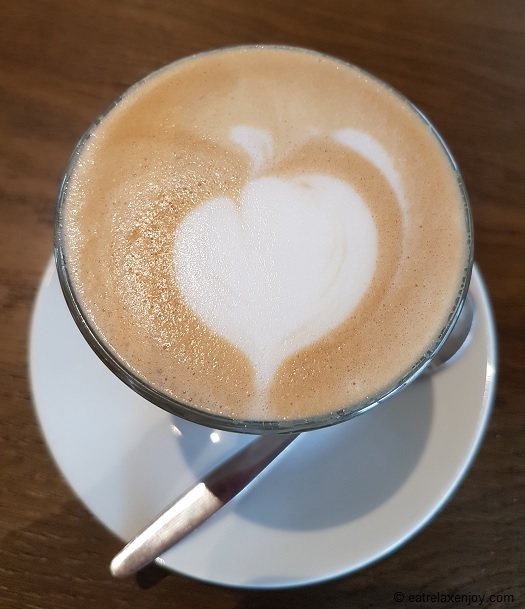 The breakfast deal comes with a choice of mains: Chorizo Shakshouka, Steak and Eggs, Grilled Feta, green egg with lamb bacon, sunny side up gratin or Assado French toast. We picked Steak & Eggs and the Gratin, which we shared. 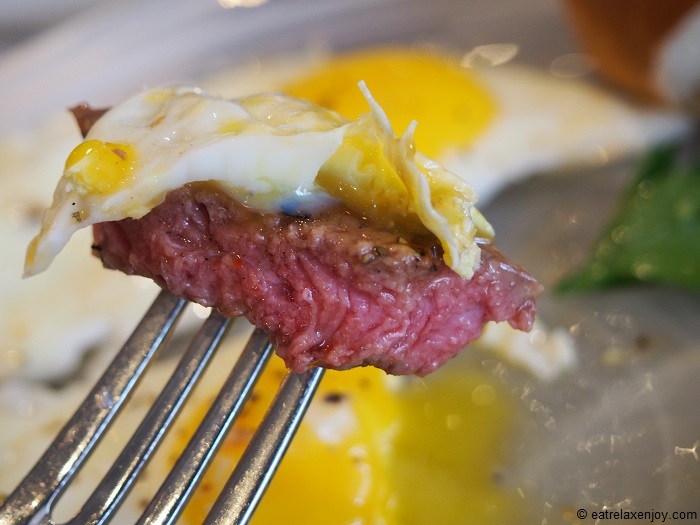 Steak & Eggs – that’s a strip loin steak with 2 eggs sunny side up. Made red inside, seasoned with spiced butter and so soft! Goes so well with the egg – a real treat! 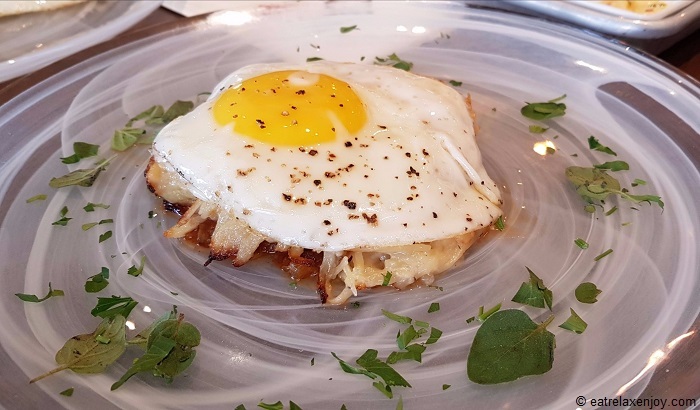 Gratin – a cheese and cream juicy potato gratin on lamp stew served with a sunny side up egg on it. Wonderful! After this full meal, I thought to myself that there’s no dessert. After having coffee (part of the brunch deal) I realized it is just too much to eat! But there is a variety of desserts in the menu, many low priced. You can read more about Angus Steakhouse and on more restaurants.